Today was most likely the final time that I pull on my BMC jersey in the United States and that brought on extra meaning. This is a race that I’ve been a part of since the beginning of my career. 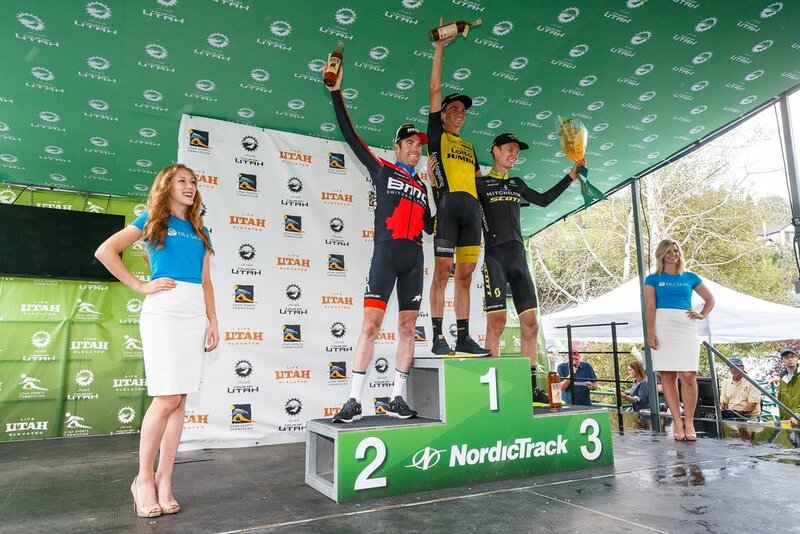 The Tour of Utah has treated me well, and I was heading into the final stage with the opportunity to lead the team after Tejay had an off day on Saturday. It felt absolutely amazing to go for it, battle, persevere and feel that finish line fire. Racing Utah with the BMC Racing Team has had some deep meaning in my progression as a rider. It felt like a fitting close to my time at this race with this team to conclude with a podium. Sunday’s start was fast and saw several attempts for a break to form. Joey was repping us in the first couple, but with a reduced squad and knowing we needed extra power in the final parts of the stage, we decided to holstered our manpower when the move finally went. Lotto kept a stiff pace, and I was excited because that meant we would likely have the chance to play for the stage win. The climb up Empire was as brutal as ever. With a fresh coat of pavement, it was little quicker, which I think we all appreciated! The team did a super job leading me into the final climb in great position, and the pace was stiff right from the start. In these moments, I focus on one minute at a time because it’s hard to fathom continuing like that for the next 45 minutes! Once Lotto was out of guys, Jack Haig set out with a hard attack and only Sepp marked him. This caused our group to fragment. I battled and rode the climb the best I could, making sure to keep them in sight, but I really struggled to close those final meters. As I would catch riders, they immediately would sit on me knowing it was my race to chase. I tried to stay focused and not get distracted. Towards the top, I saw my chance to make a big effort and make contact with the group, and I went for it. I was really suffering over the top of the climb and doubted my plan to attack on the descent, but I mustered some strength and went for it over the final meters of the climb. I quickly realized the descent was wet, but still extremely fast. I caught the few guys who had been distance by Sepp and put my head down sprinting over the final uphill rise before the plunge into Park City. Jack latched on to my wheel, and we slid into the final corners together. I could see Sepp in the distance and could tell we were charging hard. I buried myself on the final 800-meter climb to the line, which felt more like 8 kilometers. I missed Sepp by 8 seconds. I hope to be back in 2019! For now, it was a rush to the airport and onto a plane back to Spain. Fingers crossed now---hoping to get confirmation that I’ll be starting the Vuelta sometime this next week.